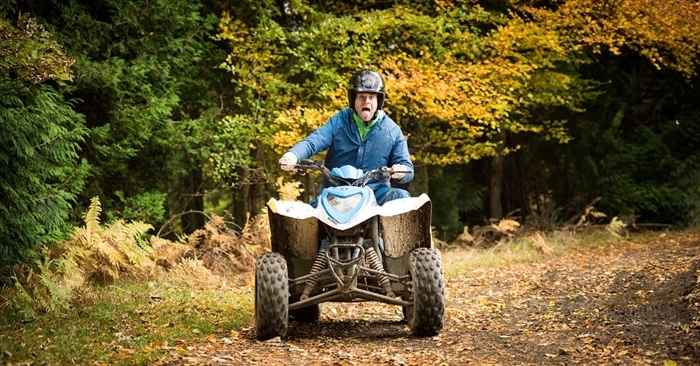 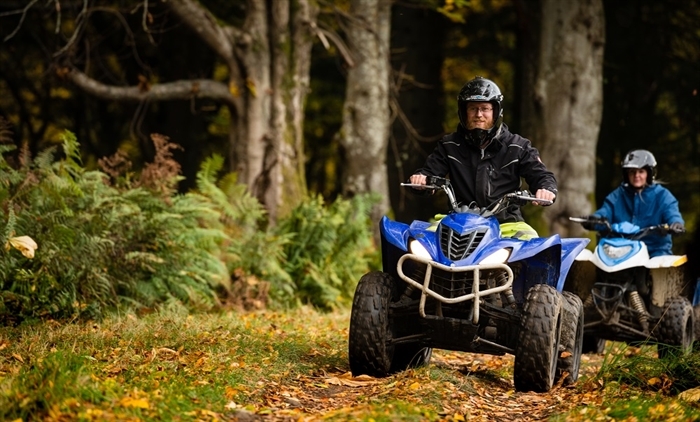 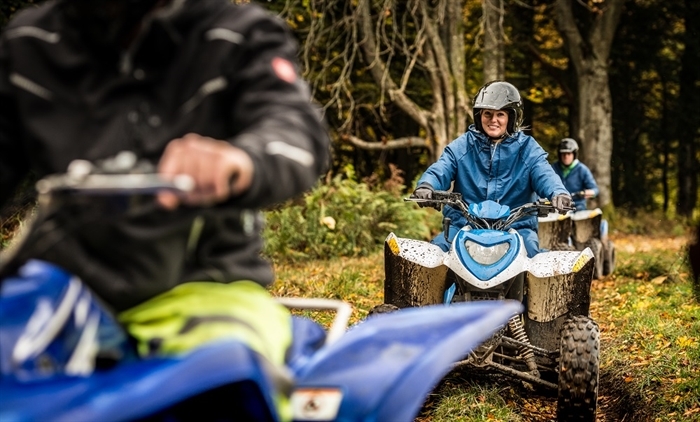 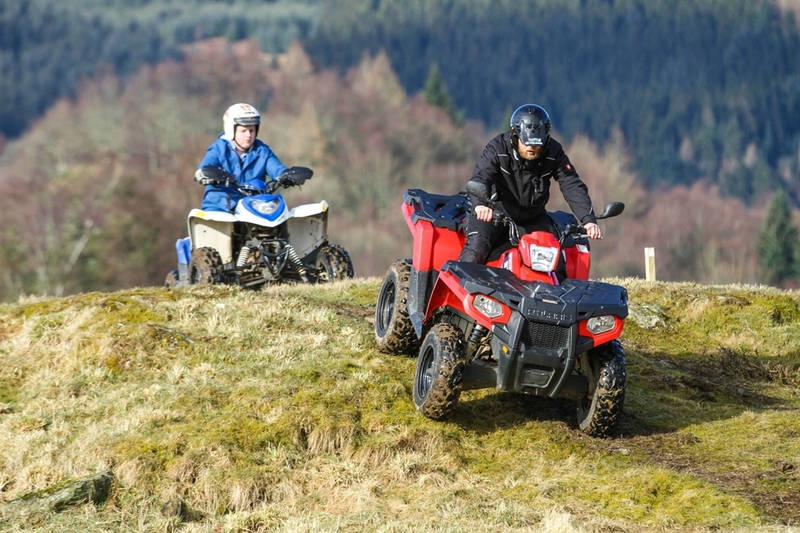 Highland Offroad delivers exciting quad trek adventures in the village of Dunkeld. 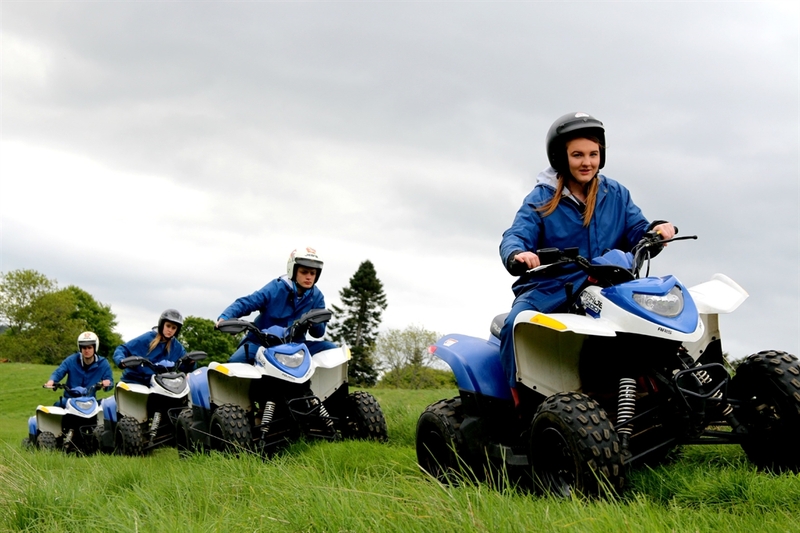 Enjoy stunning scenery, expert tuition, the local wildlife and just have a brilliant time! 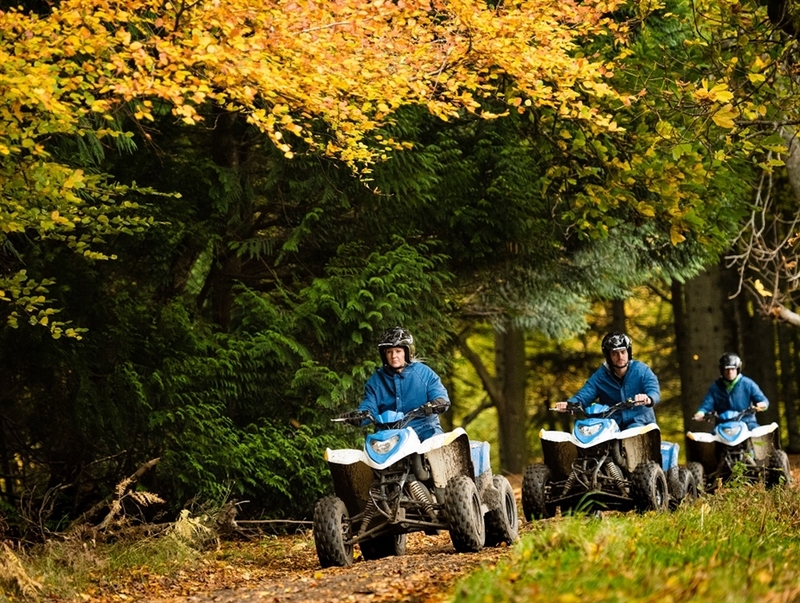 Treks are available 7 days a week and run throughout the day. 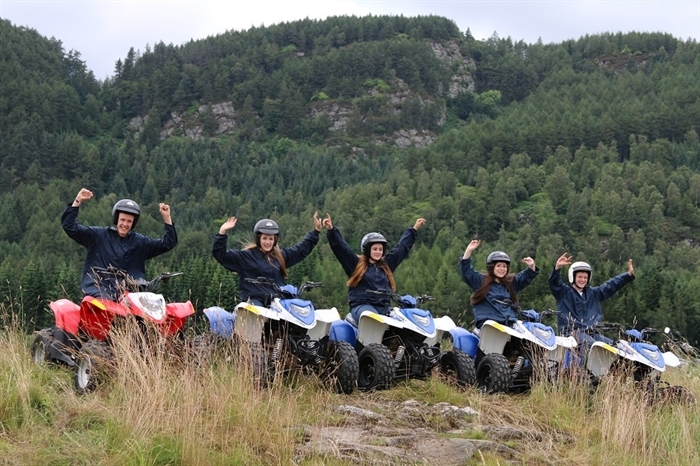 to offer exciting quad treks in a simply stunning location. 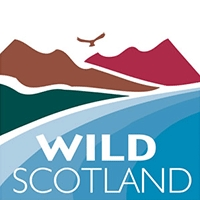 Located in Dunkeld Park, just on the outskirts of the village of Dunkeld, it is easily accessed from the A9 trunk road and just walking distance from the village. 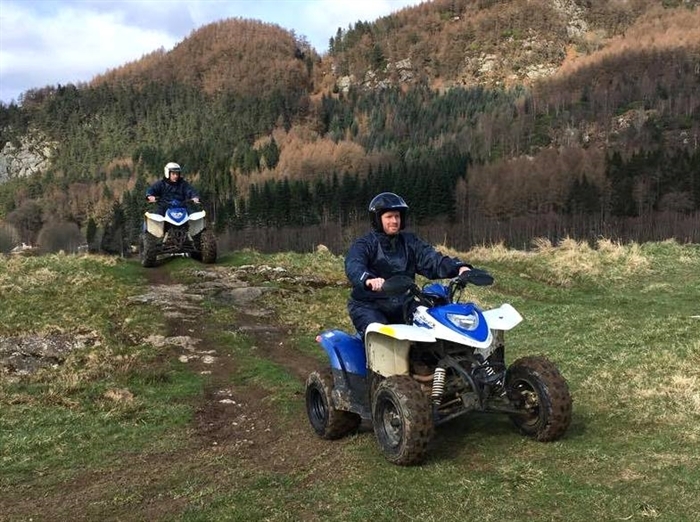 Our 1 hour trek covers a wide variety of terrain, from wide forest tracks to narrow woodland paths, camel back humps, cobbles and steep hill sides. 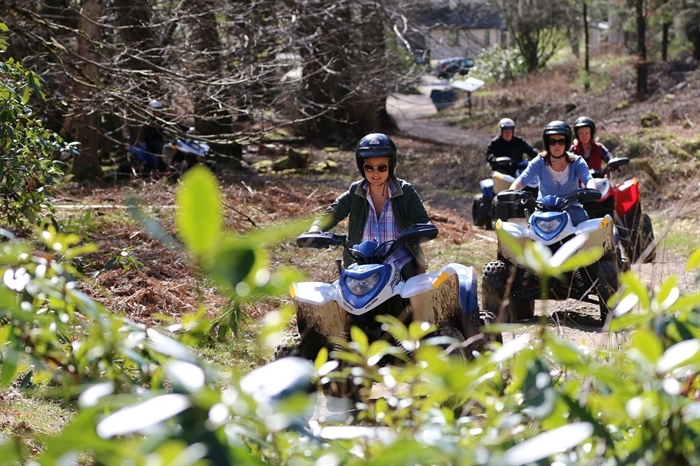 Guests regularly come accross deer and red squirrels - the local flora and fauna being very much part of the whole experience. 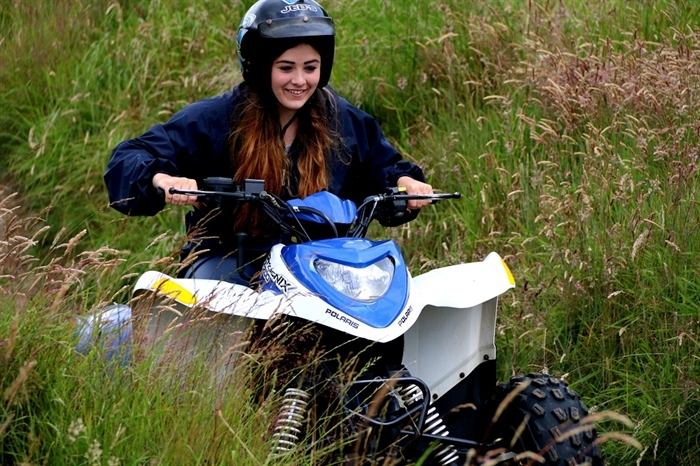 There will be plenty of opportunities along the way to stop and take photos! 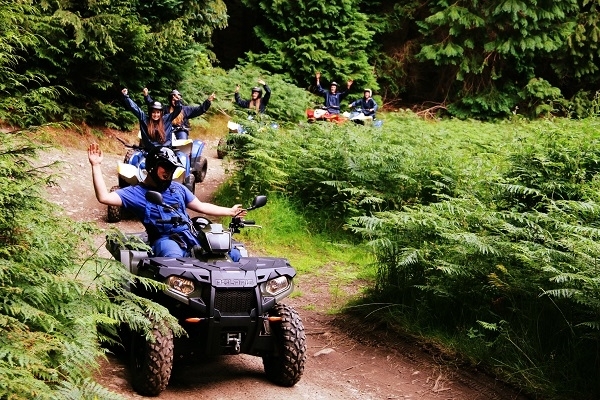 The village of Dunkeld is a great place to start any adventure, benefitting from a range of eateries including coffee shops, a well known music pub, restaurants, hotels and some quaint shops! 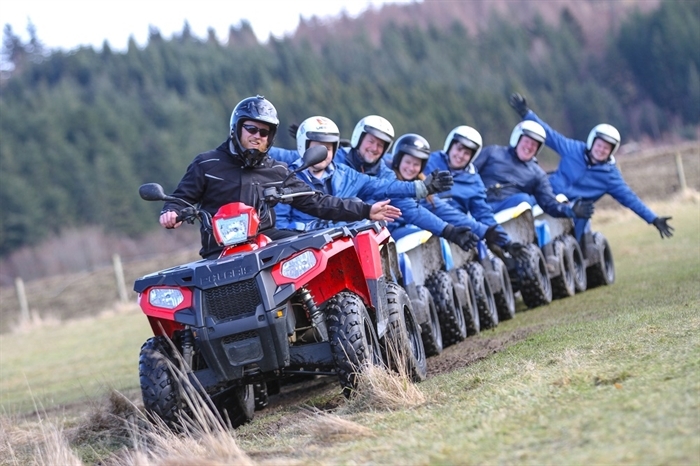 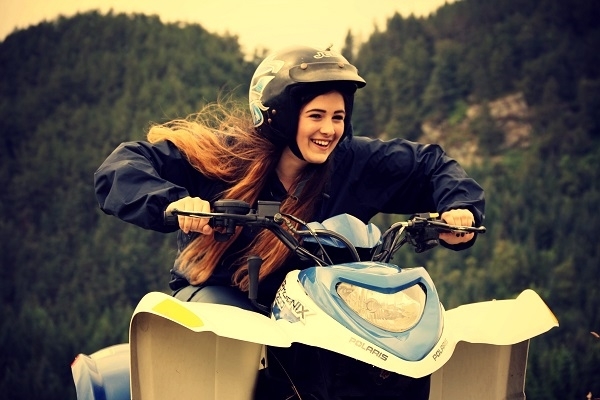 There are plenty of other exciting activities to choose from including 4x4 driving with Land Rover Experience Scotland, clay pigeon shooting and moutain biking. 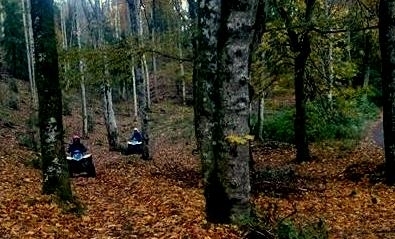 It is also a very pretty village oozing in history and of course has the Mighty River Tay running through it! 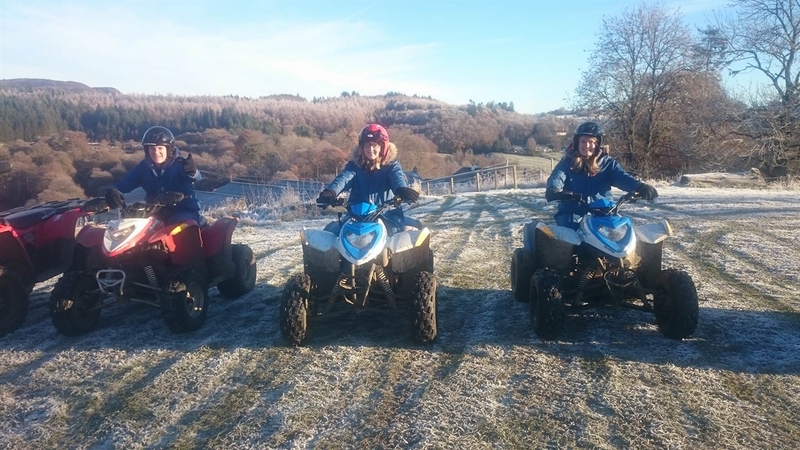 Please see our reviews on Tripadvisor. 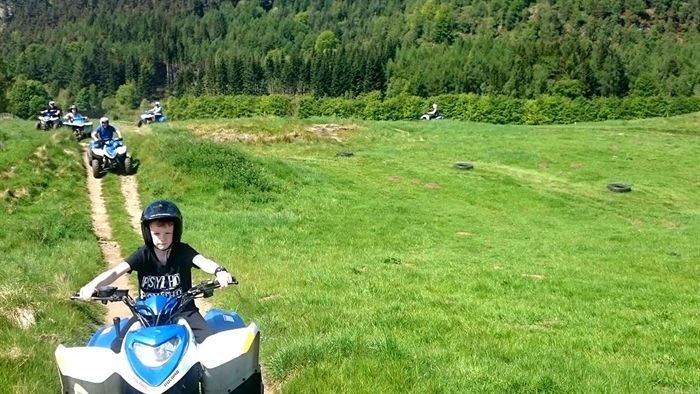 Available for children aged 12 years and over! 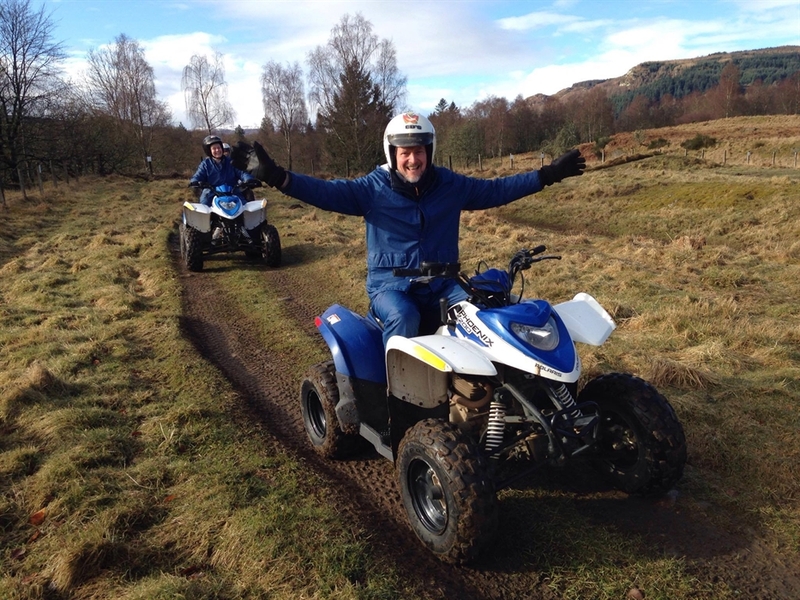 Highland Offroad Quad Cafe is a great place to chill out after your quad trel. 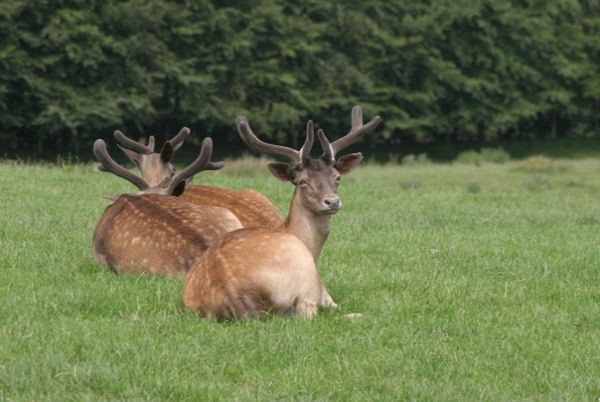 Basic snacks and drinks available to purchase Fallow deer seen regularly at Dunkeld Park Dunkeld - great for a visit, nice pubs, tea rooms and shops!